I just wanted to shout out a thanks to Amazon for some great customer service when it came to my Kindle. Basically, the thing imploded. I didn’t get the blue screen of doom but I did get “Boot Error:200 Please Call Amazon for Service” and a phone number. I have to say, I dreaded making that call. When I phoned, I fully expected the runaround. Long wait times, repeating my story over and over to five different levels of technician. What happened was just the opposite. The first CSA passed me on to a technician (Josh). I told him the boot error. He took a moment to look it up. He came back and said, “Yup its hosed. We’ll send you a new one” (free of charge). Two days later, it arrived by courier. I couldn’t believe it! I have spent hours on the phone with the likes of Dell trying to get faulty hardware addressed. 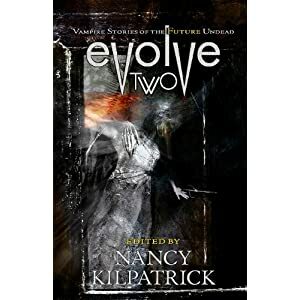 Okay…no, not really, but when my editor Nancy Kilpatrick emailed me this week to say that my copy of Evolve Two should be arriving in the mail soon, I did a double-take. Whoa! Is it almost August already? Yay!!!! My story in Evolve Two anthology is my first sale, and when I got the news in January, I was over-the-moon excited. But of course, August seemed a million miles (make that km), away. I’ve been keeping busy with my middle grade novel and in the very back of my mind, basking in the success of getting into Evolve. What a boost for my confidence! But now the moment has arrived! The book is available for preorder on Amazon and Chapters. The official release date is August 1st. The anthology has already had a pretty good review on Publisher’s weekly. There are some great writers in this collection, headlined by Kelley Armstrong and including my very own writer buds Sandra Wickham, Ryan McFadden, and Erika Holt. 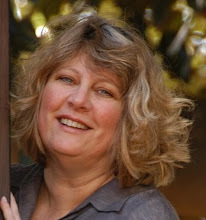 My totally cool critique partner Sandra Wickham posted today on the Inkpunks about the importance of naming characters with care. I’m a bit of a nitpicker about names (I often change my mind loads of times before I settle) so I totally get her point about knowing your character first, and taking the time to find a name that really resonates. One the best things she provides is a list of helpful resources for researching names. I didn’t know about half of these (hmmmm holding out on me Sandra?). So, bookmark these and file away under writer resources.